I have to say, from the moment I first saw the Web, I was a believer that this was something of extraordinary proportions and potential impact. As for whether the Web is in its infancy or not, I have to confess that I really like what Tim O’Reilly said at the recent Web 2.0 Expo, that the phase we are in the midst of is as important to humanity as the emergence of writing and reading and the coming together of societies in cities. While that might strike many as Silicon Valley hype, I have to say that I agree. Human intelligence is about to ride the Moore’s Law curve in a way that was not possible before the emergence of the Social Web. Computing in the cloud, together with wisdom of (your) crowd, will make you smarter, more knowledgable, and more capable of withstanding the jarring changes coming down the pike. 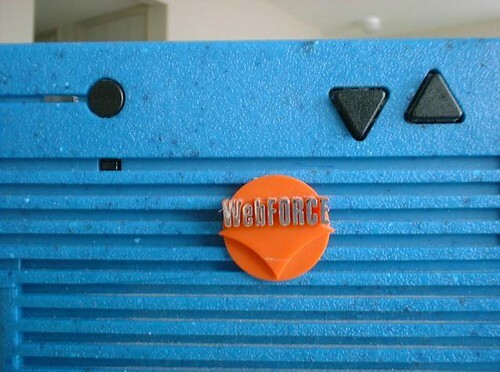 For a little bit of (awkward) fun, here’s a link to the short video clip that I had developed for the press conference in January of 1995 to introduce the WebFORCE product line. Yes, it looks cheesy in retrospect, and the phrasing is clearly stilted. That said, there were many around me who maintained the notion that the Web was nothing much to get excited about, a frivolous diversion from the things that really matter. Here’s to 15 years of proving them wrong, and to many more to come! What beautiful memories your post recalled there 🙂 Speaking of the Berlin Wall: I remember everyone in Alabama congratulating us (as Germans) to the reunion. One experience being that I went Radio-Shaking with my dad and one U. S. soldier coming up to us and saluted while speaking out his compliments. As an 11 year old I was far from understanding the significance of what was happening. What I DID understand though was the significance of the first modem my dad baught during our stay in the US and what it’s importance it would play in my life. Now, a bit over one and a half decades later, I run two globally operating businesses from my hometown (with something around 800 citizens) using the web and the knowledge I have ascertained thereon. A pretty short time in which man has created one of his greatest inventions. And yes, we are far from what the web is going to be! Looking forward to some great changes to come on the internet web together with the friends I have made over this great medium. My first “web job” was webmaster of merck.com back in 1995. The site ran on a WebFORCE-badged SGI Indigo sitting at the bottom of an unused rack in the data center, and for a while my only workstation was a similarly badged Indy at my desk. Updating the site consisted of tarring up the files onto a RDAT tape, walking it down to the data center, popping the tape in, and issuing commands to the Indigo using a cast-off DEC VT220 greenscreen terminal. Since the web server was connected directly to the public Internet (on its own T1 line, woo), the company didn’t trust it being connected to anything else. So thanks for those WebFORCE boxes! I learned a lot on that platform, and it brought back plenty of memories to see that logo again, cheesy video or not. Hey, Tom. 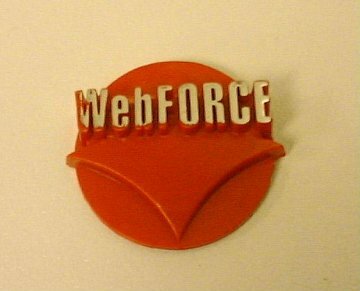 I’m pretty darn sure that the WebMagic software in WebFORCE was the first. It was introduced in January of 1995. I think Vermeer’s FrontPage was at least 6 months later. NetObject’s Fusion didn’t come until sometime the following year. I would, however, tip my hat to an HTML editor that was commercially available prior to WebMagic. It was HoTMetaL Pro from SoftQuad. It was not WYSISYG, but it was my inspiration for WebMagic. I just tossed out my copy of HoTMetal Pro the other day. I have to say it all does seem like more than 15 years and a bit of a challenge to remember what it was like before the Web. So much has happened. And as you indicate, so much still to come! Des, thanks for sharing. Wow, so cool that this post touched someone who also had familiarty with HoTMetaL Pro. Small world. Getting smaller.